Billions of dollars are spent on weddings in the US each year and it comes as no surprise that year after year, the venue is the largest investment for couples celebrating their big day. For those considering entering or expanding their presence in this lucrative industry, we have compiled a few of the most common reasons customers choose a Legacy Post & Beam kit for their event venue. 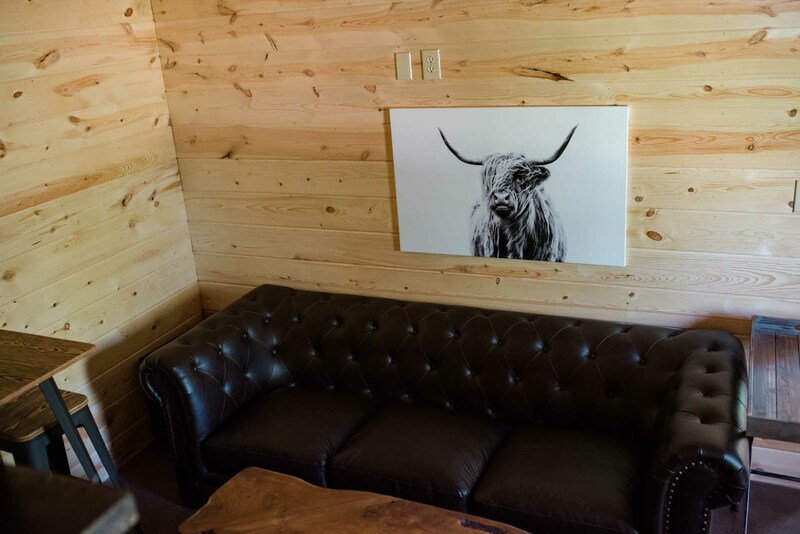 From elegant chandeliers, to comfy couches and cow decor, the rustic look can be dressed up or down to resonate with all ends of the formality spectrum. In post and beam construction all of the weight is placed on the posts & beams (hence the name), which removes the need for supporting walls. This opens spaces up significantly, allowing for efficiently designed structures that maximize capacity limits and minimize owner investment. Many forms of construction require assembling supporting materials and then covering them up with drywall. 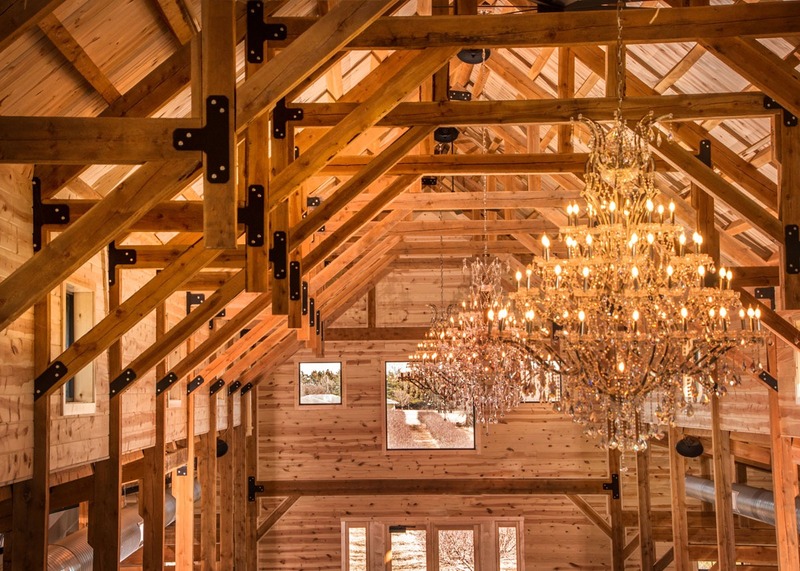 With post and beam, the exposed timbers are not only a source of strength but also create a unique and defining look. This is especially true when it comes to vaulted ceilings. 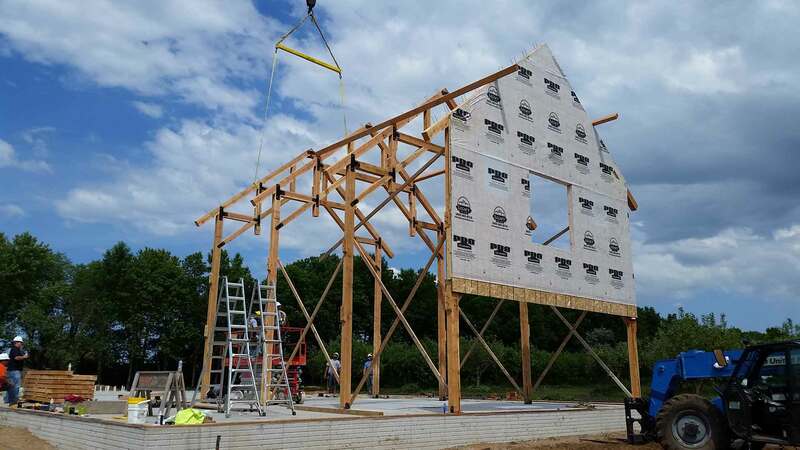 Trusses on stick frame buildings are needed purely for strength and are not visually appealing, which means they need to be covered. In post and beam, the trusses are a part of the signature look and allow for beautiful vaulted ceilings like shown below. Time is of the essence for those opening a venue and another reason a pre-built post and beam kit is an appealing choice. Each bent in our kits is pre-cut and pre-drilled in our manufacturing facility, then is labeled and packaged for efficient assembly by the on-site builder. 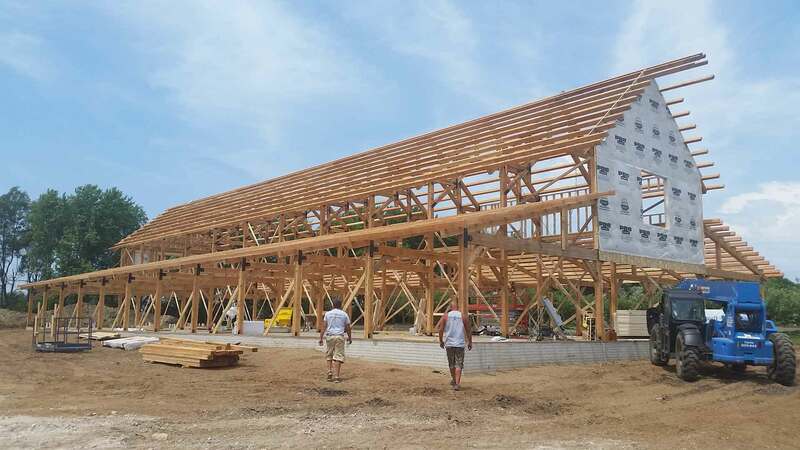 In the matter of just a few weeks, the frame and purlins can be constructed. The inherent strength of the wood material give a solid framework for the venue to be built upon. 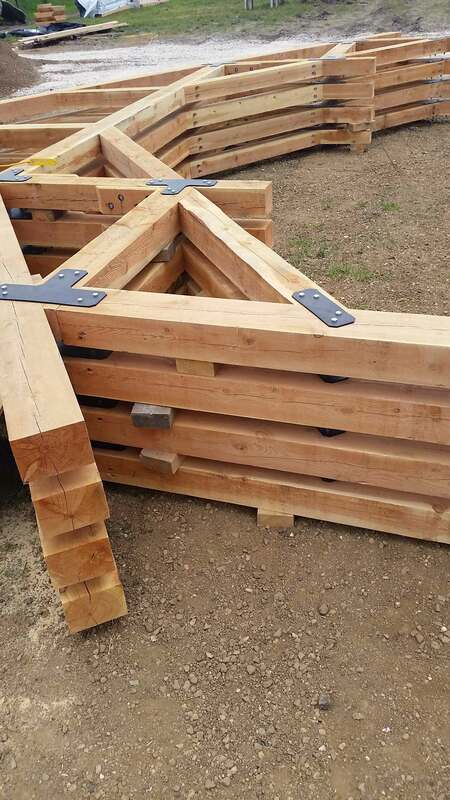 However, wood quality varies significantly by species and because the post and beam framework is the key structural and visual component, it is important to ensure the kit provider you choose is using the highest quality wood. This is key to reducing the amount of twisting, shrinkage, and visual blemishes. For more information or to get started on your post & beam event venue visit www.legacypostandbeam.com or give us a call at 605-665-8310.